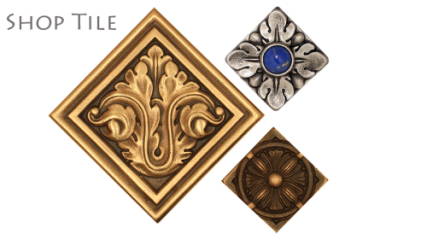 Saint-Gaudens produces the finest artisan bronze tile, bronze liners and bronze accents money can buy. Each piece is crafted in 100% solid bronze. You will find no plated resin or plastics in any Saint-Gaudens bronze tile. Saint-Gaudens bronze tile and liners are 100% solid bronze, giving you the timeless durability and beauty only pure bronze can. The same durability and beauty you can still see today in solid bronze statues and fountains from the ancient world. Every Saint-Gaudens bronze tile, liner, and trim item was designed and handcrafted by Valerie Saint-Gaudens, whose long career in jewelry design translates bronze tile into fine jewelry for the home. Solid Bronze has been used for over 3000 years to create ageless works of art. Solid bronze as nearly limitless installation potential, is nearly indestructible, and gets more beautiful over time. 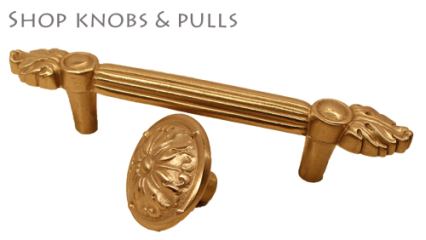 Saint-Gaudens brings the uncompromising quality of bronze into the modern home. Since 1998 it has been our mission to provide the finest solid bronze works of art in the industry. We have never compromised this vision. While others have gone to cheaper plated resins or metallic plastics we have remained true to our vision. Every piece we make is handcrafted in the USA. Saint-Gaudens bronze can be installed nearly anywhere. It is impervious to heat, can be walked (or driven) on, and can withstand any weather. We offer a wide range of styles to suit you. Contemporary to classic, Saint-Gaudens has what you’re looking for. Saint-Gaudens Cares for Our Planet. at least 75% recycled metal. 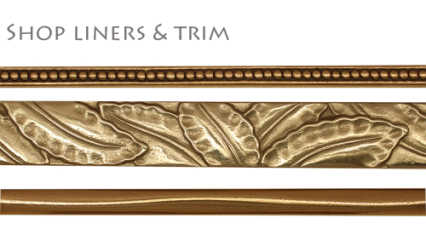 Want to Learn More About Saint-Gaudens Bronze Tile, Liners, or Hardware? Questions about Solid Bronze Tiles, Installation, or Care? Check out our Bronze FAQ page here. October 14th, 2015|Comments Off on Bronze Tile Finish Options – Which One is Right for You? September 17th, 2015|Comments Off on Why Choose Solid Bronze Tiles? This is not just tiles…this is ART!